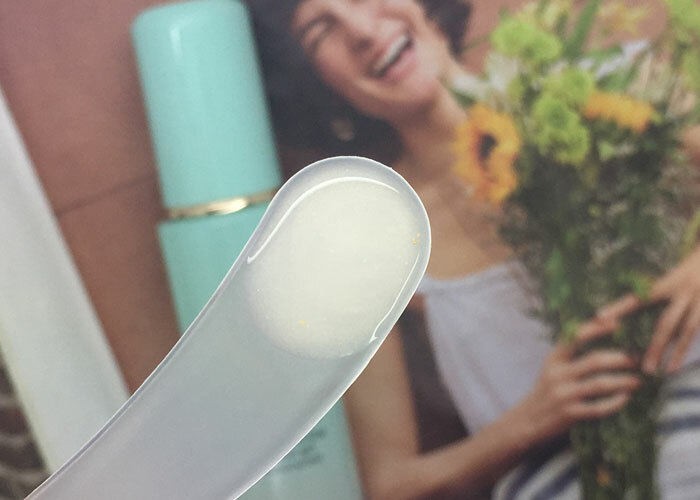 In my search for low- or no-oil moisturizers and gels to use with my facial oils, TATCHA’s Balanced Pore Perfecting Water Gel Moisturizer changed the game for me. And when I say “changed the game for me,” I specifically mean it’s bumped this one off the top shelf. TATCHA’s Balanced Pore Perfecting Water Gel Moisturizer is the, hands down, best gel moisturizer for my oily skin. It has a jelly-but-not-runny, almost milky, consistency that imparts impressive hydration and a hint of luminosity thanks to 23K gold. The slip is fantastic, and one pump is more than enough to cover my face and neck. The serum-like texture is an amazing mixing base for your favorite daytime oil, should you choose to blend products. Incorporating this gel into your routine will extend the life of your oils (you’ll find you need just two drops) and add an inimitable glow to your skin. That balanced glow is thanks to ingredients like Japanese wild rose, leopard lily and dokudami extracts, which help clarify skin. Japanese wild rose hips are rich in vitamins A, C and E as well as flavonoids and tannins, which can help improve the appearance of the skin’s texture and tone. Leopard lily has anti-inflammatory properties, which can calm the skin. Dokudami is packed with skin-protective antioxidants and known for its healing benefits. Water, Glycerin, Propanediol, Rosa Multiflora Fruit Extract, Camellia Sinensis (Green Tea) Leaf Extract, Inositol (Rice Extract), Chamomilla Recutita (Matricaria) Flower Extract, Sophora Angustifolia Root Extract, Belamcanda Chinensis Root Extract, Houttuynia Cordata Extract, Sericin (Silk Extract), Stearyl Glycyrrhetinate (Licorice), Algae Extract, Gold, Hydrogenated Lecithin (Soy Origin), Squalane (Olive Origin), Lecithin, Pistacia Lentiscus (Mastic) Gum, Sodium Dilauramidoglutamide Lysine, Mica, Silica, Xanthan Gum, Bispeg- 18 Methyl Ether Dimethyl Silane, Ammonium Acryloyl Dimethyltaurate/Carboxyethyl Acrylate Crosspolymer, Hdi/ Trimethylol Hexyllactone Crosspolymer, Polyglyceryl-10 Myristate, Disodium EDTA, Tin Oxide, Titanium Dioxide, Peg-400, Bht, Butylene Glycol, Ethylhexylglycerin, Alcohol, Phenoxyethanol. While not claiming to be “green” or “organic” or “natural,” TATCHA includes some lovely ingredients and extracts that make this formula look and feel a little smarter than most luxury brands. Ideal for oily skin, this non-comedogenic, dermatologist-tested gel is one you MUST try if your skin just can’t handle heavy, oil- and butter-laden creams and balms. TATCHA promise “ultra-light, oil-balancing hydration” with this product — and absolutely delivers. I’ll be repurchasing it again and again and again and again. Holy grail product for my fussy, oily, acne-prone skin. Have you tried anything from TATCHA? Do you use water-based moisturizers or gels? What are your thoughts on cleaner luxury products that don’t market themselves as green? Tell me in the comments!